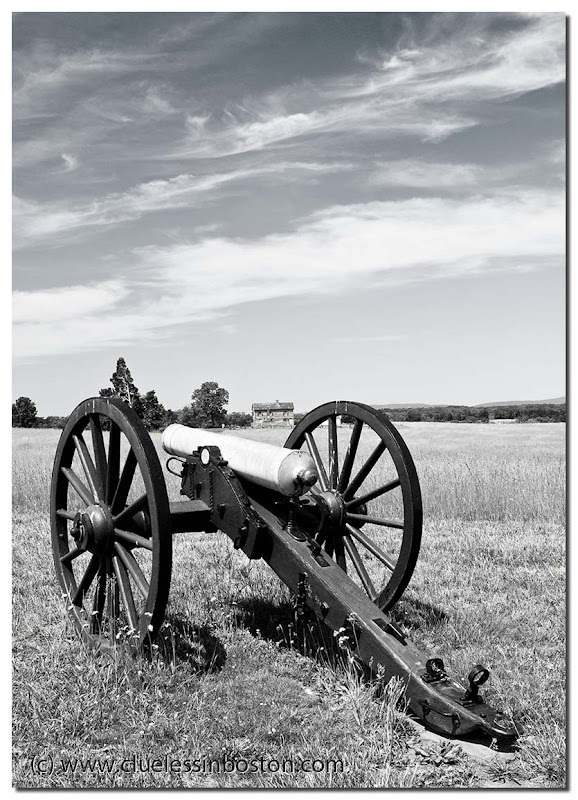 Cannon on the First Manassas Battlefield, Manassas, Virginia, the American Civil War. Today, we can easily imagine that you were really here around 1860/1865, and took this picture with the tall camera you had in your wagon! Wonderful b&w composition, mix great with the subject in your image! Didn't make this field, but Chickamauga, Ressaca, Shiloh, Gettysburg, Antietam, Peach Tree Creek. Bit of a nut on Civil War for a Brit. Really wonderful. Did you think of doing it sepia? I would have been tempted.